"Restoran Zdrava voda u svojoj ponudi nudi veliki broj jela sa naglaskom na domaći specijalitet janjetinu sa ražnja." 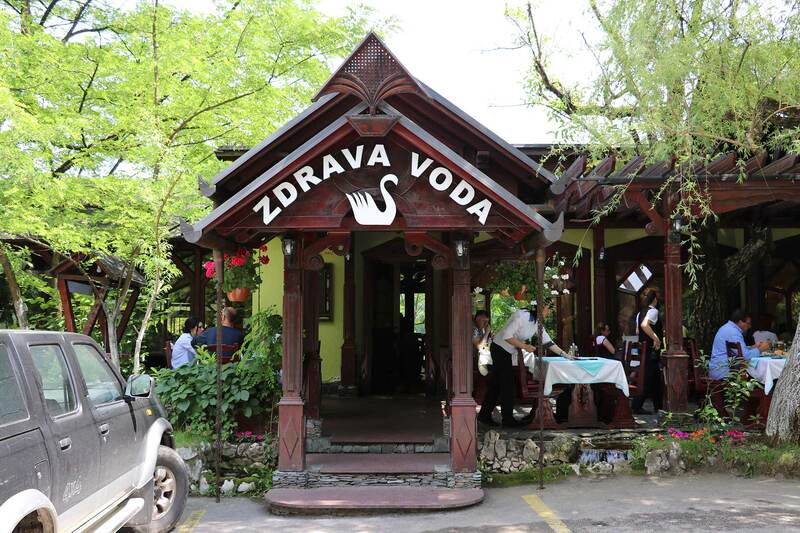 Uživajte u kadrovima iz restorana Zdrava voda Jablanica. "Best food. It was the best meat i’ve ever eat. I recommend this place to everyone visiting Sarajevo. İts on a beautifull road between Sarajevo and Mostar. You can have your dinner there before you go back to Sarajevo from Mostar." "It's a family friendly restaurant serving traditional delicious lamb. The service is very quick. Food is on the table within 5 minutes! We'll come back!" "Exuisite traditional restaurant Very nice traditional Bosnian and Herzegovian restaurant, on the way from Mostar to Sarajevo. Taraditional restaurant with lamb and grill. Frendly and very profesional hospitality. Service is very fast and efficient. Pleasant!" "It is impossible to come to Jablanica and not visit this facility. Best food, beautiful views, a tradition that dates back for years! excellent grilled lamb here is a superb choice. Perfect location, decorated with excellent, just has to try the food." Želite napraviti rezervaciju? Pozovite 00387 (0)36 753 151, kontaktirajte nas putem maila zdravavoda@bih.net.ba ili kontakt forme. Copyrights © 2018 Restoran Zdrava voda Jablanica. Sva prava pridržana.